One of the debates within #MeToo is how to handle the teaching of material by scholars who have been accused of sexual misconduct at any level, whether the alleged conduct is relatively new or decades old. 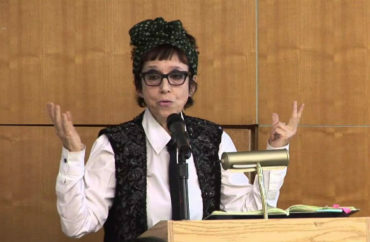 New York University’s fallen feminist scholar, Avital Ronell, is the latest whose work may be quietly shelved by instructors who have previously included it in their syllabi. Also the chopping block: work by her initial supporters. The Chronicle of Higher Education reports on the “blowback” to Ronell in college classrooms, including how students and fellow scholars are responding to professors who initially defended Ronell against sexual-harassment allegations by her former grad student, Nimrod Reitman. After reading news articles and essays about the Ronell allegations, Zachary Furste’s mind went to the three-person class on 20th-century media-technology experiments that he taught last spring at the University of Southern California. In the course, students read from Ronell’s The Telephone Book, among other works. Last year he thought Ronell was a perfect fit for his syllabus, given her stature and the relevance of the text. Assigning the book seemed “inevitable,” he said. But if he were to teach the course in the future, he said, “I haven’t really settled whether I will keep it.” He wondered if including her work, even with relevant context, would help students or confuse them. The initial letter by fellow feminists defending Ronell, an internationally renowned philosopher, before Reitman’s full allegations were made public is also blowing back on its signatories. 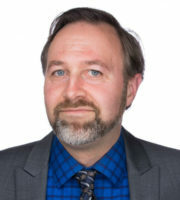 Mount Allison University sociologist Ardath Whynacht started a Twitter campaign to convince instructors to remove Ronell’s supporters – some of whom have since recanted – from their syllabi unless they also teach “the context” of the Ronell case, according to the Chronicle. Colleagues — PLEASE read their letter in support of Ronell. And do not teach them on your syllabus without also asking students to read articles about this case. Whynacht herself plans to include a discussion of Butler in a course this fall about youth culture. With that talk, she said, she plans to discuss the letter, power dynamics, and differences between theory and community work. Meanwhile, Caruth’s English Department declined to tell the Chronicle if it sent “explicit guidance” on adviser-advisee relationships to the graduate program because of the three Cornell professors’ public support for Ronell.